4// The food did not have to travel very far to get to the market, reducing its carbon footprint and reducing costs for the producer. 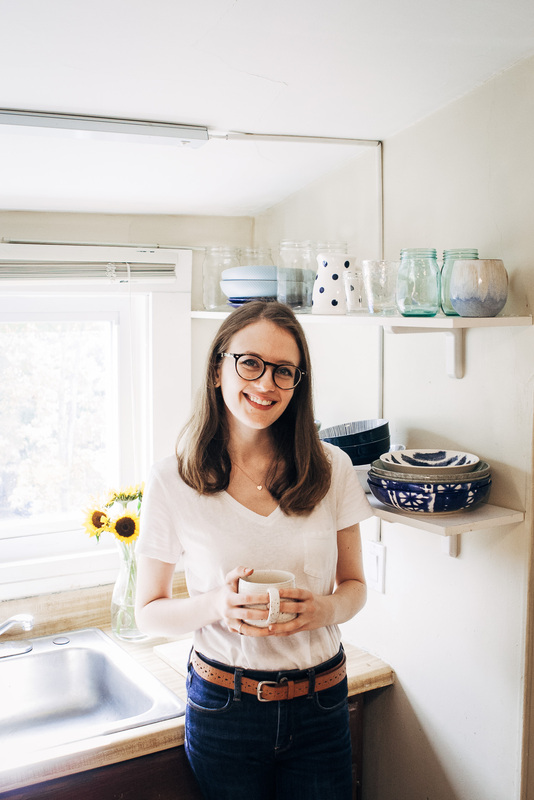 I remember the very first time I became aware of the difference between seasonal, local food and store-bought GMO foods – it was the summer, and my mom had gotten some generic-brand strawberries from Chile at the grocery store. And while that sounds very exotic, the amount of resources required to get those strawberries from Chile to Connecticut (about 5,300 miles) is quite a lot. These Chilean strawberries were huge and blemish-free, and tasted as much as I would expect a strawberry to taste. But the next day, I remember my mom took my sister and I strawberry picking at a farm down the road, and we got a huge basket of farm-fresh strawberries. They were a lot smaller than the ones from the store, and less uniform in size, but they were so deliciously ripe and bursting with flavor that I wondered at that moment why anyone would want to buy strawberries from anywhere else. 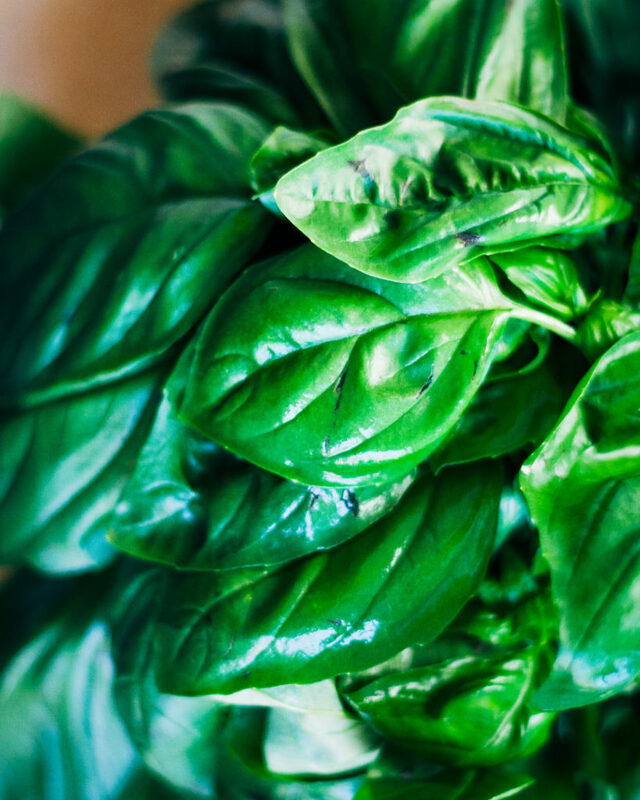 Other than the amazing flavor of local, seasonal produce, I love farmers’ markets because it supports small businesses. My dad is a small-business owner, and from an early age I was taught to appreciate the difference between small and large companies. It’s ironic now that I work for a huge, Fortune-500 company, but in a way it has strengthened the lessons of my childhood. Growing up, I always saw how hard my dad worked to run his company and provide for our family. The thing about owning a small business is that it’s all on you – if you mess up, or something goes wrong, it can put your entire company in jeopardy (whereas it would take a lot more to put a multimillion-dollar insurance company out of business). In addition, when you own a small business, you see the direct result of your efforts – it’s not like you’re sitting in a cubicle, one of thousands, completely disassociated with the success or failure of your company. So it may be super nerdy (and possibly a bit hippie) of me, but I get filled with an immense pride when I support small farmers and businesses. To me, it represents a tribute to my dad – the most hardest-working person I have ever met- and the values he has instilled in me. Some of my favorite offerings at the markets this time of year are the beautiful zucchini and squash. Every year I seem to end up with way more zucchini in my fridge than I can possibly cook or eat. 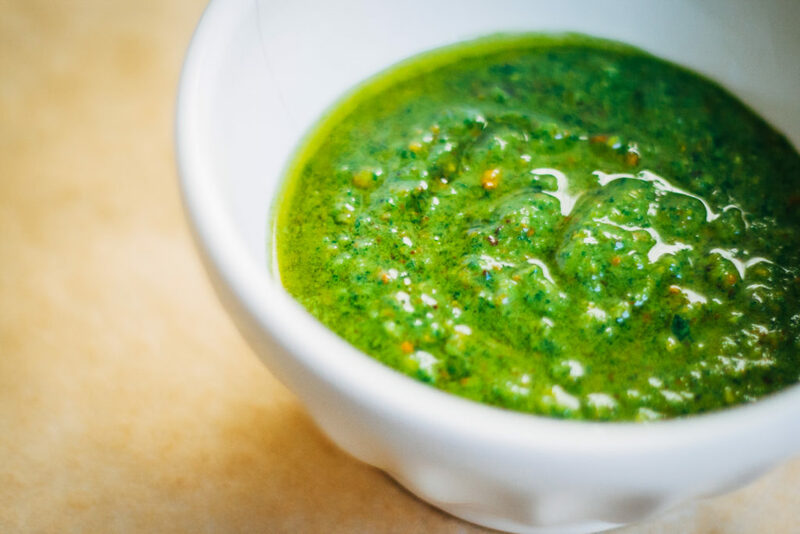 So this recipe is dedicated to my family – not just to my dad, but to my (Italian) mom and sister, who are both pesto fanatics and my biggest culinary supporters. To my family – you are everything to me. 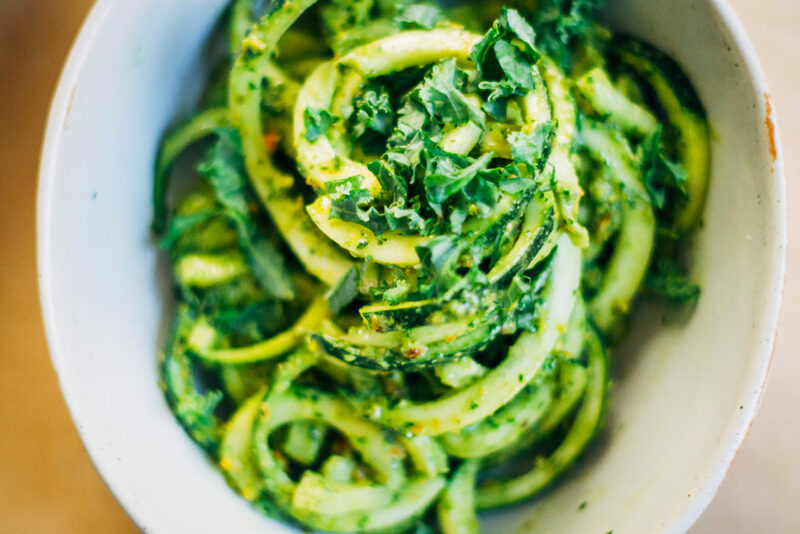 The perfect meal for summer - light and fresh zucchini noodles, tossed in a classic basil pesto! 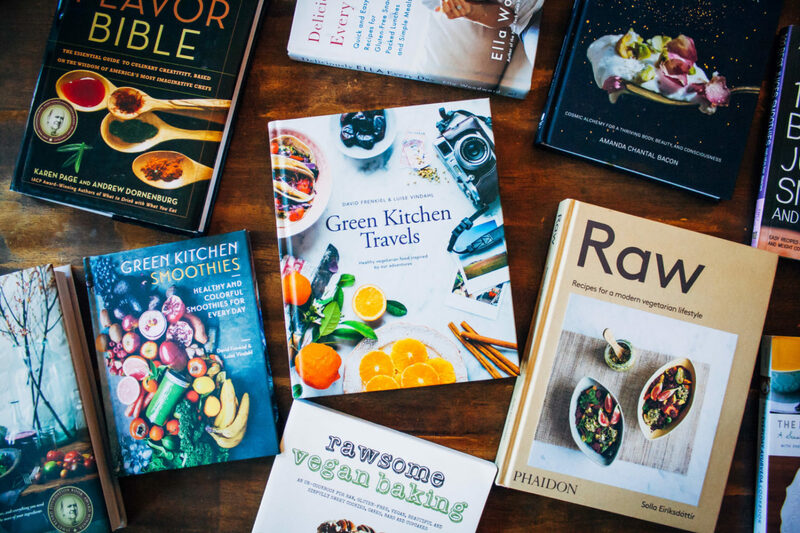 Vegan and Paleo. Chop the ends off of the zucchini. 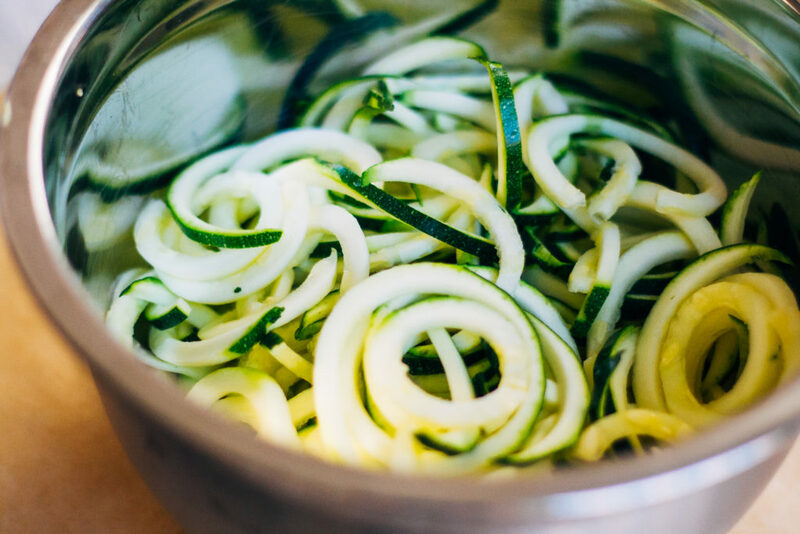 Spiralize the zucchini with whichever extension you prefer. In a bowl, combine zucchini noodles coat evenly with pesto. For garnish, chop kale finely and sprinkle on the top. I totally agree about farmers markets! I love the sense of “pride” I get knowing that I’m helping to support my local farmers- plus the food just can’t be beat. I find that’s most true for fruits like berries, peaches and tomatoes. There is no comparison for a farmers market tomato and a store bought one! 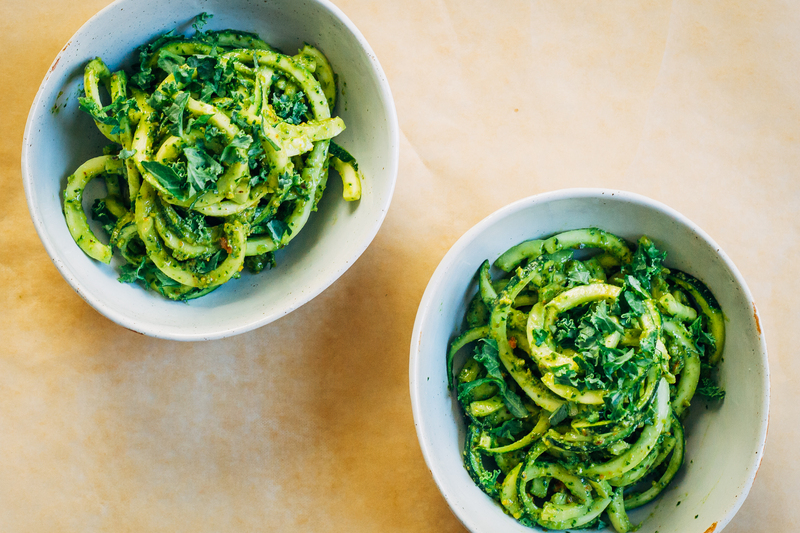 This simple meal looks like the perfect celebration of summer. Beautiful! YUM! 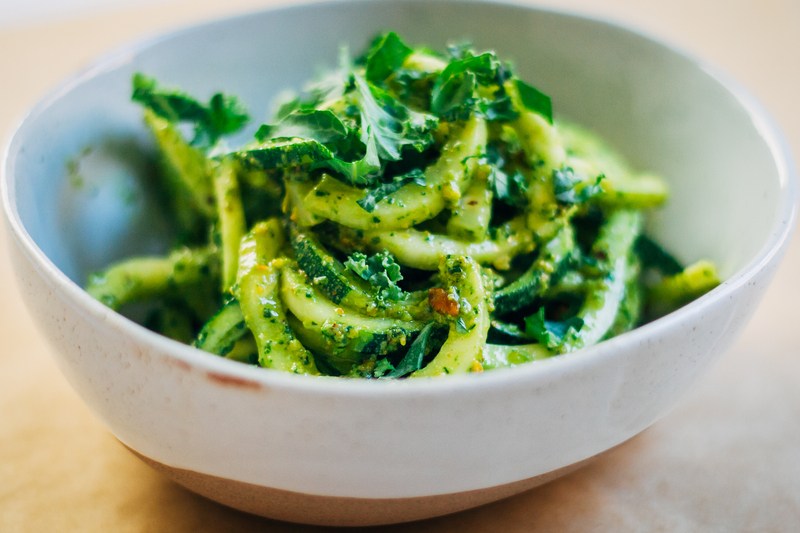 I’m loving this bright and fresh dish! 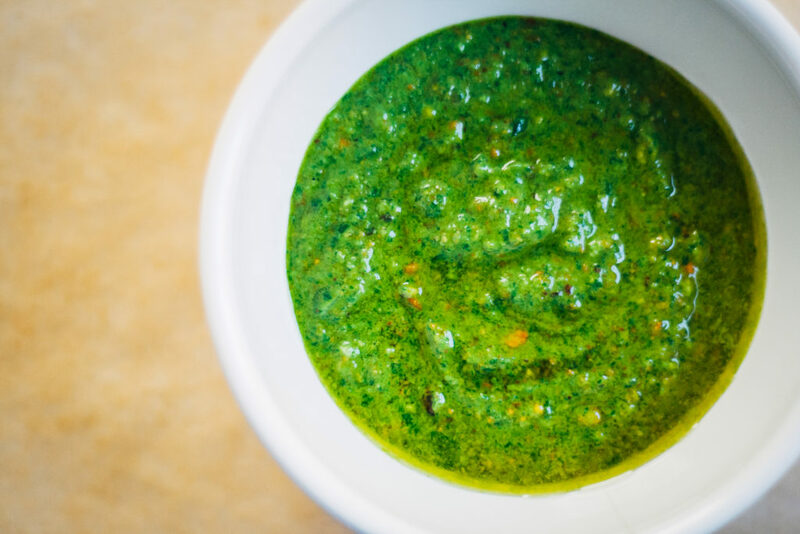 Ohh pistachios is the pesto? Gotta try that next time! hey sarah! Just popped over to your blog after reading your comment — and I feel like we connect on so many levels – our mums, eating well, and our latest posts on vegetable noodles!! So glad to have found you, new friend! I love farmers markets for all the same reasons you do. Food that travels less really does taste better and is just so much more fresh. I do 95% of all my shopping at farmers markets- I go on Saturday with a little wheely thing and fill it up with whatever is available! 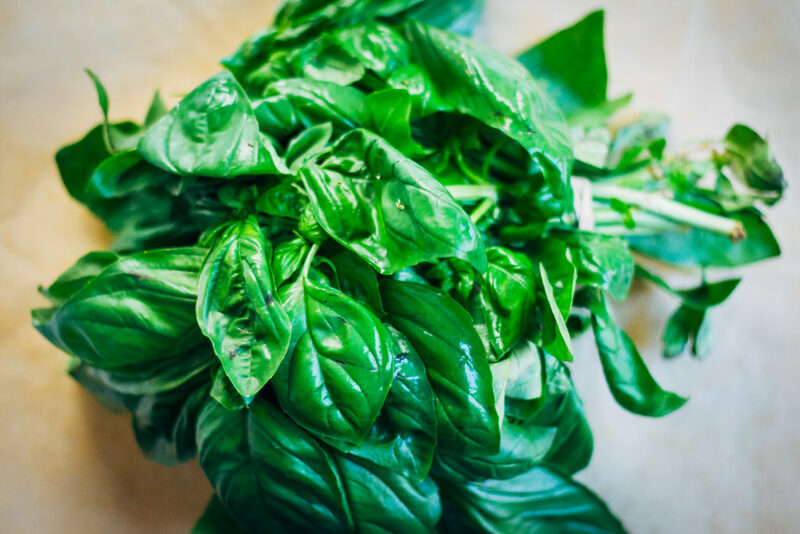 It’s incredible to see how the produce changes year round. I remember just how happy I was the first day strawberries were back, I went crazy and bought a couple boxes and devoured all of them when I got home. 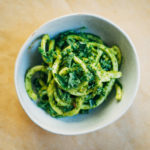 Zucchini noodles + pesto are one of my favourite meals ever! 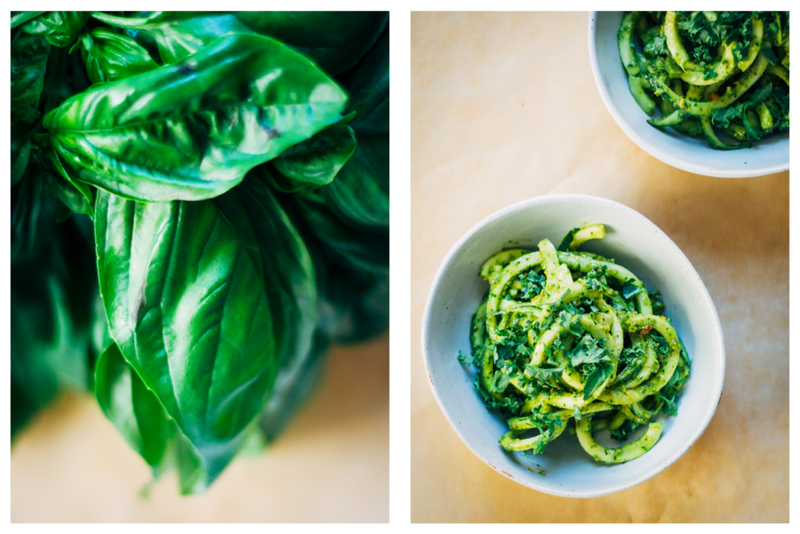 So easy and delicious, and of course, I can never get over how beautifully green it is. We love Farmers Markets too! We go every saturday, rain or shine and we buy for the week. No waste, we support local businesses and eat organic tasty seasonal produce. 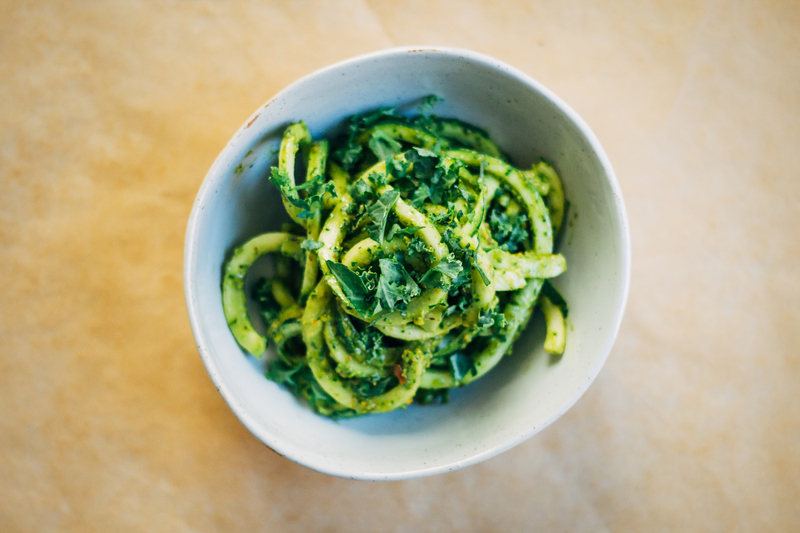 By the way, your photos are amazing and those zucchini noodles with pesto look really good! YES to farmer’s markets! I love supporting local farms, too, and always love the fresh produce I pick up. I haven’t gone to nearly enough of them this summer, but your post is lighting a fire under my booty to go to more of them. 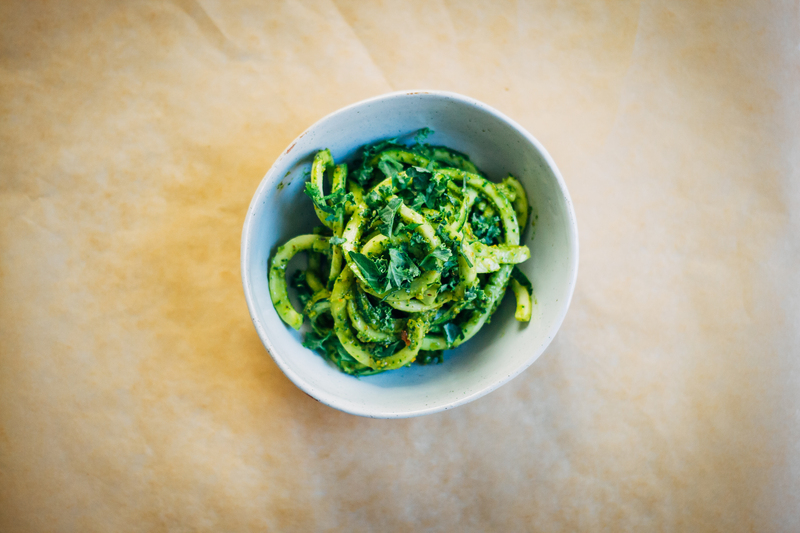 Loving these delish zucc noodles with that fabulous pesto! Perfecto! I too love supporting farmer’s markets and small business, plus everything tastes so much better! I adore how fresh and delicious these noodles look. I must try them soon! 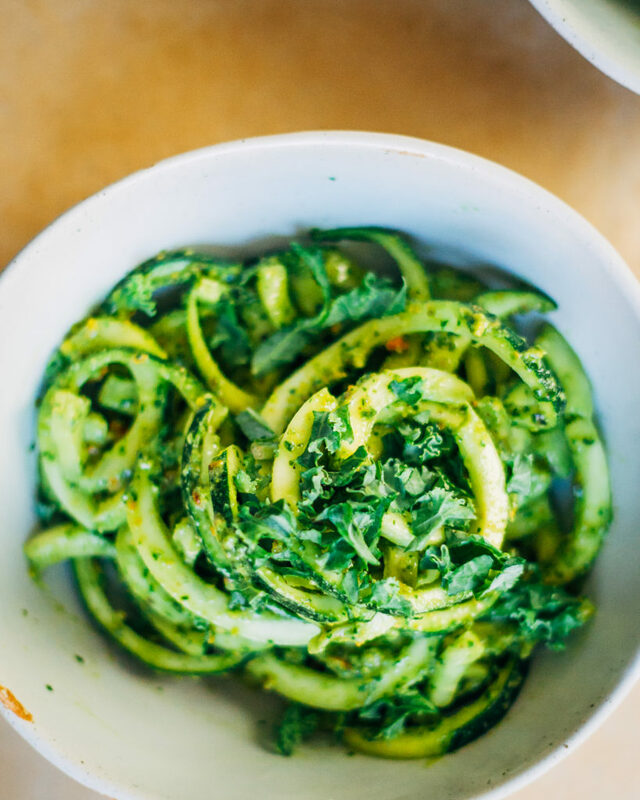 I would really like to start making my own zoodles, but haven’t been able to commit to a spiralizer yet. Any brand reccs?